STS Technical Services is hiring MST Field Service Representatives in Wheeling, Illinois! 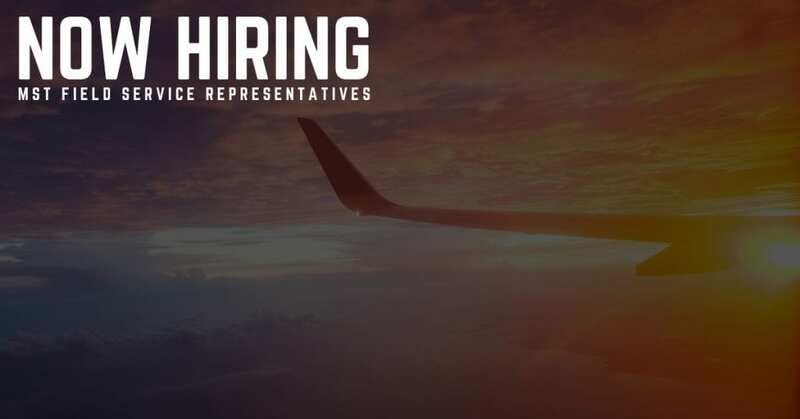 This position is responsible for troubleshooting aircraft and/or engine discrepancies and implementing corrective action. Performs on-wing troubleshooting for the customer, on the phone and on site. Disassembles and reassembles HTF7000, TFE731 and CFE738 engine types and models. Inspects engine parts upon removal in accordance with appropriate maintenance manuals and/or approved data, taking measurements to match reassembly. Documents all engine and aircraft discrepancies, troubleshooting and repairing discrepancies and describing work accomplished in inspection paperwork. Accomplishes service bulletins, repair letters and airworthiness directives, as required. Engine removal and re-installation, operational checks, leak checks, and engine runs. Using sound judgment and technical aptitude to make decisions regarding maintenance, sequence and techniques, troubleshooting, and discrepancy resolution. Requires minimal supervision for the vast majority of his/her duties. Customer satisfaction hinges upon sound decisions and expedient action on the part of Field Service Representative. Supports and adheres to safety, environmental and general housekeeping policies. Must have experience with TFE 731, CFE 738 and HTF7000 engines – internal and line maintenance. Must have experience with engine removal and installation of airframes. Valid FAA-authorized Airframe and Powerplant License (A&P License). Must be appropriately certificated in accordance with 14 CFR Part 65. 3-5 years turbofan/turboprop engine experience (including assembly and disassembly). Strong working knowledge of Microsoft Word and Excel, intranet and internet. Excellent interpersonal and communication skills; demonstrated customer service skills. Must travel as required, may include some international travel.